What is an Appraisal at Work? Appraisal meeting can also be termed as performance appraisal review meetings. It is not something similar to your day to day meetings with your manager. Appraisal reviews are mainly for making your professional life and work better. A good appraisal review mainly focuses on analyzing the work load, objectives and goals of your career. Here you will be given feedbacks and discussed about salary incrimination. Performance appraisals happen per year in a company or for every 6 months depending upon the company. In a performance appraisal interview, the boss as well as the employee discuss about the performance as well as the strength and weakness of the employee in the course of work. As you have now understood what an appraisal means, let us now look at how the appraisal review works. An appraisal meeting is held between you and your immediate manager where in the discussion will be regarding your work performance, outcomes, feedback and future tasks and things to focus on. In few companies, there will also be a third person in the meeting(can be a Sr, HR manager or SR manager) where in he will recording everything being discussed. Also before the appraisal review meeting, you will be given documents or forms to fill out. 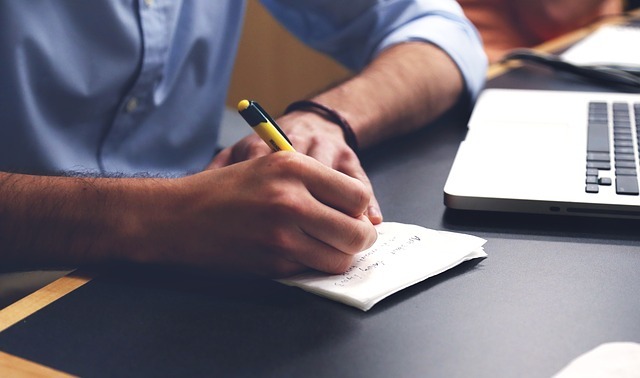 Your meeting will be mainly focused on those forms or the data which you have filled. How to Prepare for a Performance Review? A performance review meeting is conducted every year twice or thrice depending upon the organization. You must never take the meeting lightly as it is very important in shaping our career or for advancement of it. What do you think is the biggest achievement this year and why? What is the most challenging aspects of your work this year? How strategies did you use to approach these challenges? Which aspect of work do you enjoy working the most? Which aspects of work do you find the least satisfying while working? Do you have any plan to make your Job Done more effectively? How can management help you to ease your work? Do you like the Environment of the Organization? Appraisal meeting should never be taken lightly, instead it is the only opportunity where you can clear all your doubts and ask suggestion for your career advancement in the organisation. The ambitions of the employee are identified and the route to get there is penned down. Answering an appraisal interview or questions is a tedious task and one needs to be taking on a holistic approach. While answering questions in appraisal interview one should also remember to include people around them along with business benefit. 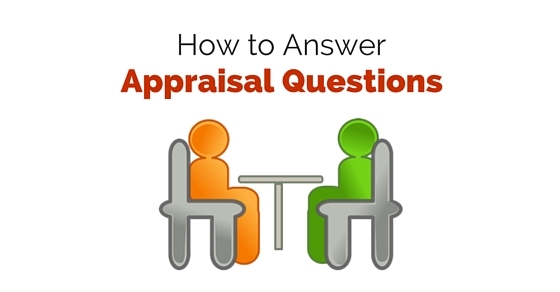 Let’s run through a few tips on how to answer appraisal questions. When an employee is asked about the achievements in the past few months, the employee should remember to talk about all the people involved in it rather than him. The answer should talk about colleagues as well as boss during answering. In the same manner, the employee can talk about the benefits of the stock holders from a development point of view. The answer should be honest and an impact on the performance should be reflected in the answer. When asked about any complaint or issue, the employee should first accept that they know what the problem is and be responsible for it, instead of defending. The problem may be a failure due to holding hands with other colleagues but blaming them completely may not be right. The employee should answer in a way that the solution is a common one which is suitable for everyone and not only for them. While answering appraisal questions, the boss expects for many aspect when discussing about goals. The boss looks out for the goals the employee has reached and how. In the same manner the boss expects the interested areas of the employee and his development in the last few years. In such scenarios the employee should remember to speak about the goals he has accomplished, how he accomplished and ways to succeed with future for new goals. A small business usually has a number of projections during the initial period of development. In that aspect the employee may be asked to take up more duties. The boss explains the rationale and also the benefits in taking up more duties. Since the boss has explained the intention for extra work the employee should understand and accept the work instead of neglecting it. During the appraisal session, the employee should remember that the employer already has the performance appraisal report and hence providing honest self appraisal answers are mandatory. This would be a stepping stone if the employee is looking for internal appointment. The good aspects of the appraisal and achievement of positive aspects are to be spoken in an appraisal session. Remember to minimize focusing just on one aspect and also do not travel more detailed into negative aspects. You can speak about how your ideas are and how valuable you are to the organization. The role you have played till date and travelled with success can be spoken out. In the same manner, your hard work can be spoken of and your key accomplishments which has made few projects successful can be highlighted. When asked for implemented ideas in the past, prepare an idea of your which was implemented and made successful. In case you had offered an idea in the past to your company and your company ended in bankruptcy then it may not be a perfect idea either. Share successful and good ideas that can add value and make the company successful. While answering an appraisal question, the most important details are to be mentioned avoiding unnecessary ones. By mentioning vital details, the appraisal is set as a powerful one. The appraisal should also possess relevant examples which link to the functions of the job. By this way the appraisal is interesting and goes on well without boredom. When an employee is asked about his weakness in a performance appraisal, he needs to answer in a smart way. If the employee says that he has no weakness then, he is lying. It is required to be realistic and answer the question in a positive trait by mentioning small work related faults. 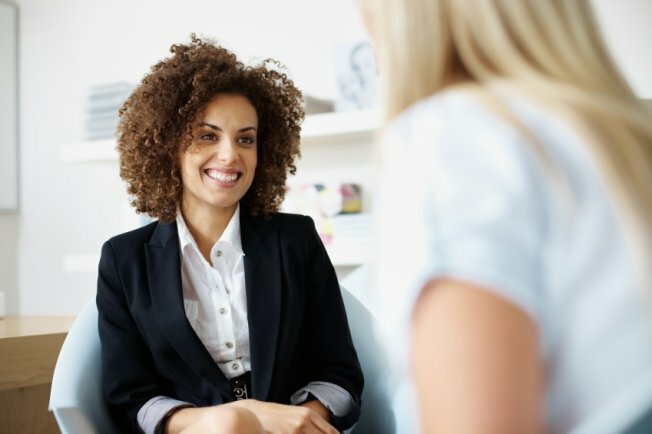 In an appraisal session, it is important to speak about the skills and experience and how you can use them in an effective way in the organization. You can also mention that you like to face challenges and motivated to handle them with your skill and knowledge. You can also mention a few examples of the challenges that you have met and handled. There may be situations where the employee is asked about any past conflict. The employee can open up the true situation and answer in an honest manner. The employee can mention that there were few disagreements and not major conflicts. It can also be said that, the employee learned from the conflict that he needs to understand from the opponent point of view and understand their perspective. This can be a smooth way to answer this type of question in an appraisal session. It is always good to maintain a positive attitude during the appraisal session. The employee can be in any mood such as angry, upset or defensive, all these should be kept within at time of appraisal session. It is important for the employee to remember that an appraisal is conducted to make the employee better. The questions are asked to make out what differently the employee has done or what he can do in future to handle various situations. The answers should be truthful and the employee should take ownership for any hassles that has happened previously. To ensure confident conveyance of answers, practicing is the right way. A list of employee performance appraisal answers sample can be practiced accordingly to overcome the appraisal problems. 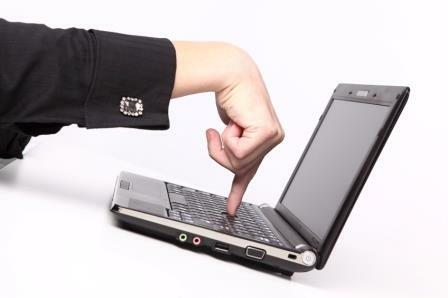 You can also seek a friend’s help to monitor your performance or you can record and review your performance too. It is mandatory that you answer each and every question and you also provide each answer along with facts, figures and related information that makes your answer strong. Also remember to focus on the tone of answers, your tone should be positive, and calm irrespective of the topic being discussed. Before you perform, it is better to prepare performance appraisal questions to ask your boss and the achievements and failures that you have crossed in the past. By this way, you can come up with outcomes rather than irrelevant details. When you’re prepared, you are able to answer the right answer for the right question. 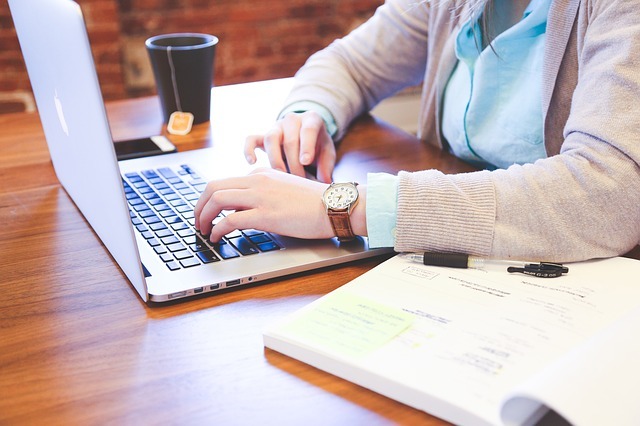 When questions are probed regarding productivity, the employees should answer in a way which does not affect the company as well as the employee. The employees should make sure that they do not blame business for lack of productivity. It is a fact that the qualities of the workers are evaluated and so answers should be smart and convincing. The employee would be sure about what is expected by the company from the employees. They focus mainly on the partition of the job and the employees goals. The goals, job plan and description should be clear by the employee. Goal setting is the main aspect while preparing for an appraisal by which the performance is evaluated. Appraisals are conducted to elevate the efficiency of the employee where they are made to understand their role better. They are also able to know their strength and weakness in their roles. The relationship amongst managers, subordinates and team members are bonded well and improvements or trainings if required are identified. To enhance their performance and achieve their goals, self-development as well as self-evaluation is useful. A positive workforce is developed and the employees are prepared for next higher roles in the organization. In this manner, appraisals have a number of benefits to be conducted. The tips mentioned above can be absorbed by employees in order to answer their appraisal sessions. Employees who are about to meet an appraisal can run through these pointers and prepare best answers to make their session a best one. They can be made better and eligible for next higher role and salary hike in future. The employee needs to have a calm and positive nature with honest answers which make the session the best one.